Welcome to the home of Coastal Voyager. The Fastest Thrill in Southwold! 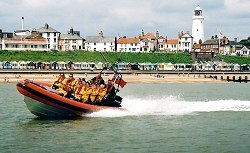 If it's adrenaline, fun and excitement you are looking for in the beautiful sleepy seaside town of Southwold you have come to the right place!! 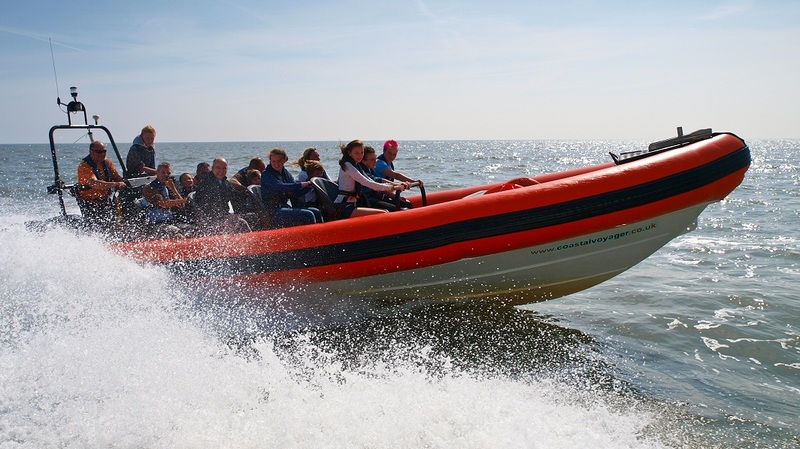 You will go a long way to beat the exhilarating experience of a high speed Sea Blast aboard our thrilling charter RIB Coastal Voyager. Give us a call on 07887 525082 to book your trip. Coastal Voyager was built to our own design by Naiad in New Zealand. She is a 9M Rigid Inflatable Boat with a deep V hull equipped with 12 wrap around seats and seat belts. Those of you with a technical nature can read more about the boat and her specifications here. Not just for the sensation seekers amongst us, Coastal Voyager is flexible enough to fulfil a wide variety of roles. 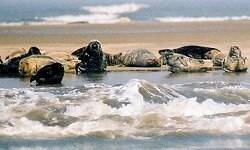 Our Seal & Wind Farm Trips are extremely popular and the only trip of its kind in the area. 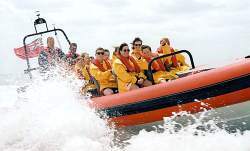 Read about the variety of trips on offer at Coastal Voyager here.